Bali is world-famous as one of the best vacation destinations, but with the exception of Ubud, few tourists venture beyond its beautiful coastline. Don’t make that mistake. Venture inward to the center of Bali for a change of pace. Up in the highlands, you’ll find a famous temple, cool mountain weather, ancient volcanoes, and three crater lakes. This is the mystical place called Bedugul. When Bali's tropical heat and humidity finally got to us, we accepted our friend's suggestion to see what Bedugul had to offer. Following his “insider” tips, we soon realized just how much there is to do in this mountain community. Take it from us: It may be close enough for a day trip, but there is enough going on to warrant staying for a few days. Bali is legendary for its unique Hindu temples, but they are nothing like those you'll find in India. Positioned on two small islands in the middle of Lake Bratan, few can match the beauty of Pura Ulun Danu, where the temple and surrounding mountains are reflected in the lake's peaceful water. Your camera will get a workout. 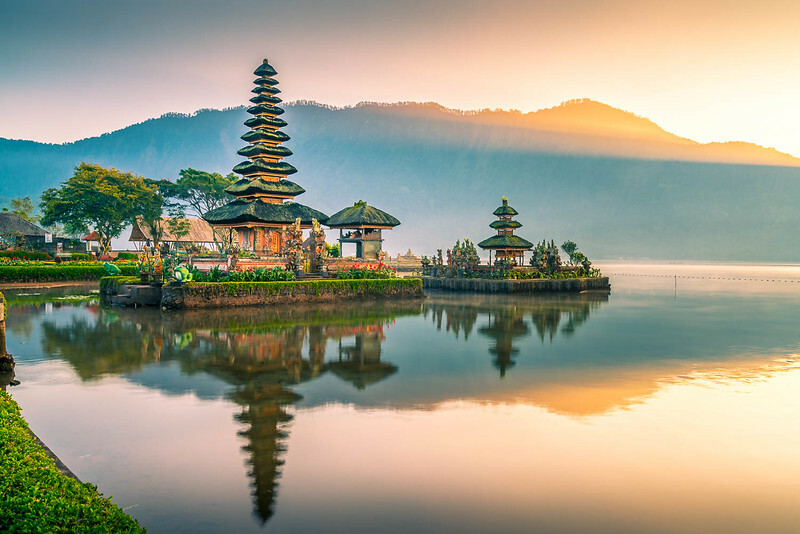 Ulun Danu Temple was built in the 17th century to honor Dewi Danu, the water goddess who ensures there is always enough water for farmers to grow the all-important rice. Priests have lovingly landscaped the temple grounds, which enhance the temple experience. The parking lot fills up quickly and tourists shopping in the many souvenir stalls. Arrive before the official opening time to avoid crowds – and keep your shoulders covered. It will be worth getting up early for, if for no other reason than to avoid day-trippers. Mornings can be cool and foggy, so don't expect clear skies and bring something warm. Tip: Arrive before the official opening time to avoid crowds – and keep your shoulders covered. Every community has a traditional market, where locals go for the freshest farm produce, such as flowers, vegetables, and fruits, including Bedugul's prize, strawberries. A large ½-kilo packet of strawberries starts at IDR 25,000 (around $2 USD). We bought a huge bag of vanilla beans for Rp.50,000 and found huge bags of other spices, like saffron and cloves, to be good deals as well. 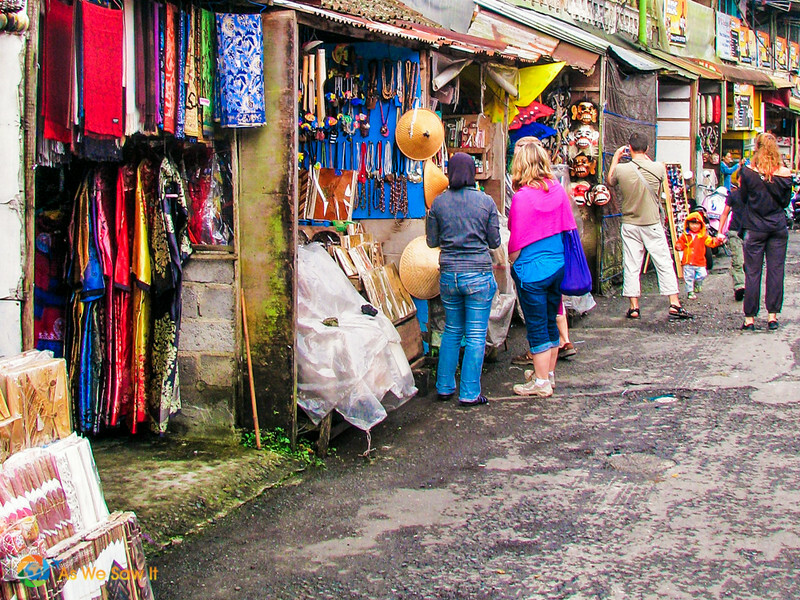 Pasar Candikuning is a favorite market among travelers, where you’ll find plenty of touristy souvenirs, cheap clothing, and local crafts. If you're in the mood for a snack, keep your eyes open near the parking lot and roadside. That's where peddlers often sell snacks like crackers, boiled peanuts and sweetcorn (around IDR 5,000 a cob). Wherever you go, bargain hard! Indonesians love to “nego,” so step out of your culture zone and negotiate. It's all part of the travel experience! Tip: You should be able to get at least 1/3 off the original price. Offer half the asking price as an opening and don’t be afraid to walk away if the terms aren’t to your liking. They might chase you down and offer an even better deal. 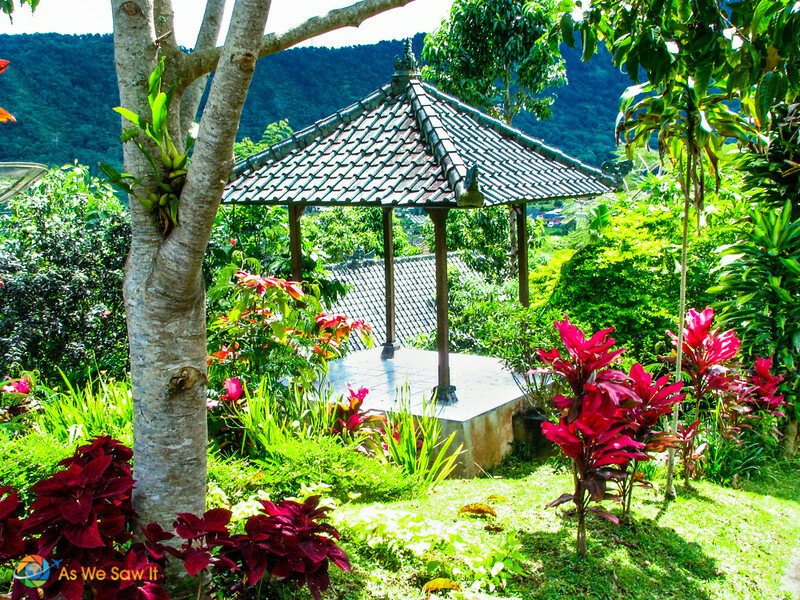 Bali Botanic Garden, also known as Kebun Raya Eka Karya, is one of four botanical gardens in Indonesia. With nearly 160 hectares and about 17,000 plants originating from Eastern Indonesia, it is important to research, conservation, education and recreation. You'll find plenty of spots for picnics, jogging, walking, and photography, as well as a traditional Balinese-style guesthouse that functions as a guest house for visitors. Expect gorgeous walks through rainforests, conifer groves, palms, tree ferns etc. Open: 08:00 – 18:00 daily, except Nyepi. Admission: Rp.7000 for locals, Rp.18,000 for foreigners, plus Rp.5,000 for cars. Inside the botanical garden is Bali Treetop Adventure Park, where you’ll find suspended bridges, spider nets, Tarzan jumps, Flying-Fox zip lining, flying swings, and more. Winches, ropes, nets and so on will let you explore the forest well above the ground. And it’s not passive – you hoist, jump, balance and otherwise circumnavigate the park, safely inside a harness that you will clip to the wires between the trees. There is a minimum height requirement for all rides, regardless of difficulty level. Instructor will ensure that each participant complies with safety procedures, so go ahead and challenge yourself. Open: 08.30 – 18.00 daily. Admission: Ticket is good for 2.5 hours. Prices vary depending upon time of day. Discounts for pre-booking; see website for details. What can be more relaxing than playing golf while enjoying the beautiful scenery of Tamblingan Lake? Bedugul is heaven for golf lovers, and not just because of the refreshing highland air. Handara Golf and Resort is one of Asia’s most iconic golf courses, with stunning view of green mountains, crater lakes and lush forest. Affectionately known as Bali Handara, the resort was named 2015 winner of the “Best Golf Hotel in Indonesia” by the prestigious World Golf Awards, and ranked among the “Top 50 Greatest Golf Courses in the World” by Golf Digest. Handara is a favorite on Instagram, thanks to its beautiful candi bentar split entry gate. When we first visited in 2010, it was easy to drive in, but now there's a guard gate. The iconic gate became so popular that the resort had to hire a guard to keep the roadway clear so guests could freely enter. Tip: It now costs Rp.30,000 fee (about US$2) for your photo op. Ask the friendly guard about Handara's various packages, which waive the photo fee. Our favorite was the picnic lunch. Handara Golf and Resort invited us to stay at their resort for two nights, in exchange for updating our photos and the information in this article. 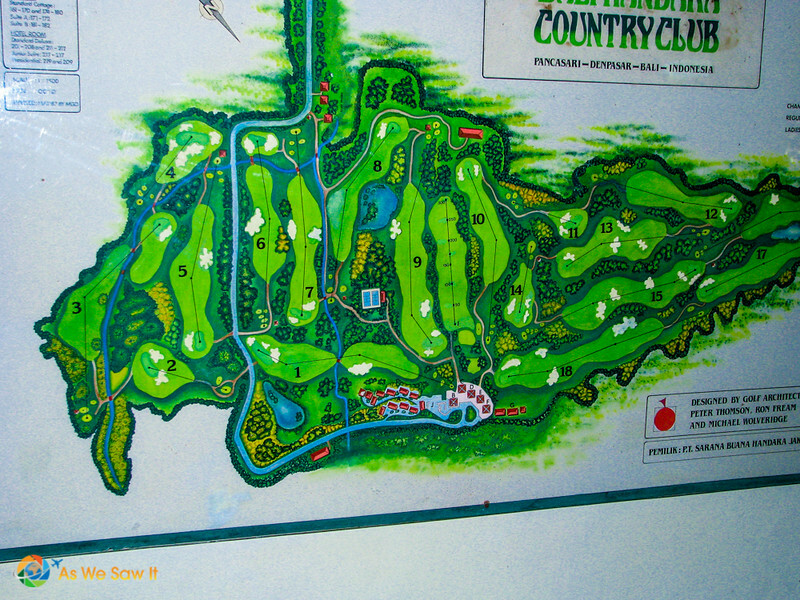 Worked for us; we had a chance to enjoy the Japanese restaurant and the golf course's '19th hole,” Breezes Terrace. Both offer sweeping views of the beautifully landscaped course. Speaking of food, we had a chance to try the Harvest Salad, joining the chef in the organic garden, picking the veggies we would like to eat, then watching him prepare everything in the resort's kitchen. Who knew that Handara grows and uses its own organic produce? Way cool. Until we arrived, we had no idea that tennis is also available, or that the resort has a playground for kids. Here's an insider's scoop: They are also planning to add a spa. 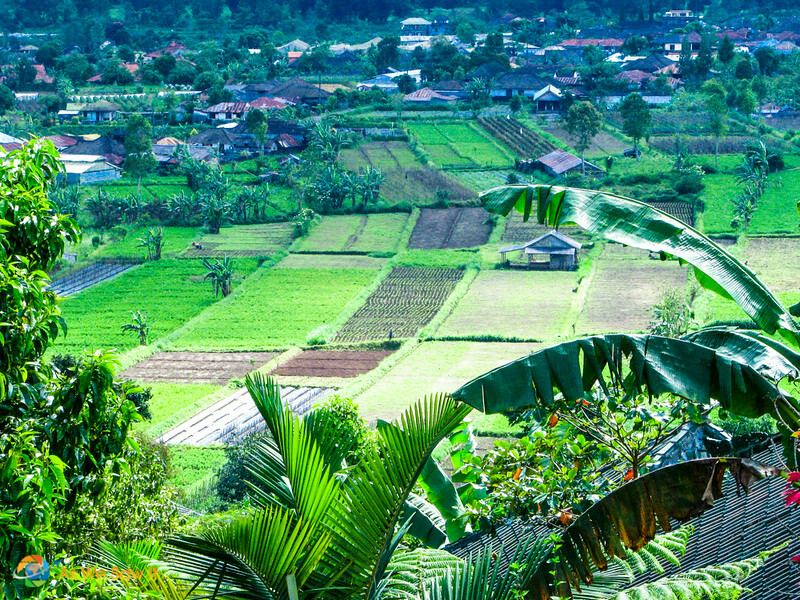 Thanks to its cool weather and volcanic soil, Bedugul is an ideal place to grow a variety of crops. Typical of the Balinese, the enterprising local farmers have turned their trade into a tourist attraction by letting visitors come to pick strawberries. Some believe that strawberries help in preventing cancer and treating anemia. We don't know about that, but we do know they taste delicious. The whole area is full of strawberry farms where you can pick berries by the kilo or you can just pick and eat them to your heart’s content on the spot. Arrive early for the best pick; after 4 p.m. the farmers will begin harvesting the leftover strawberries to be sold in the city. Tip: Strawberry season is July-September. You can still get some at other times, but there will not be as many. 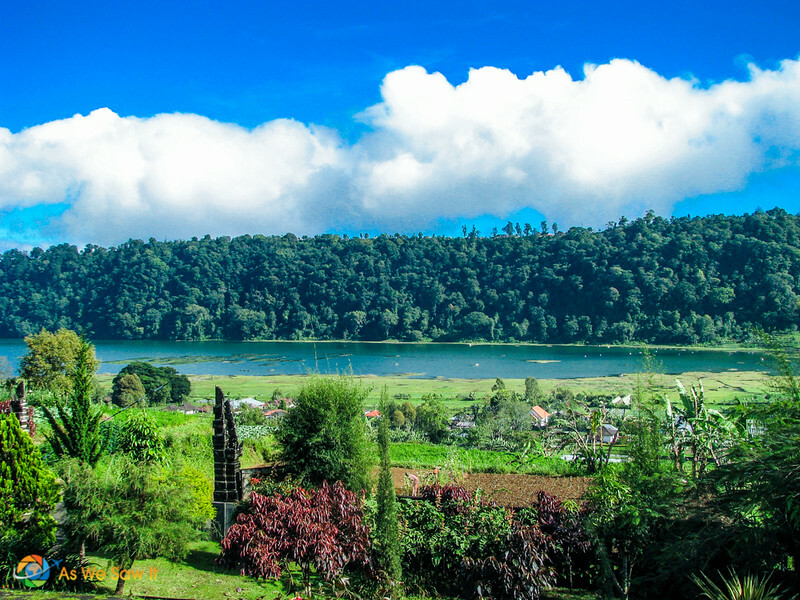 The three serene crater lakes of Tamblingan, Buyan and Bratan (sometimes called Beratan) are a photographer's dream and offer plenty to do. 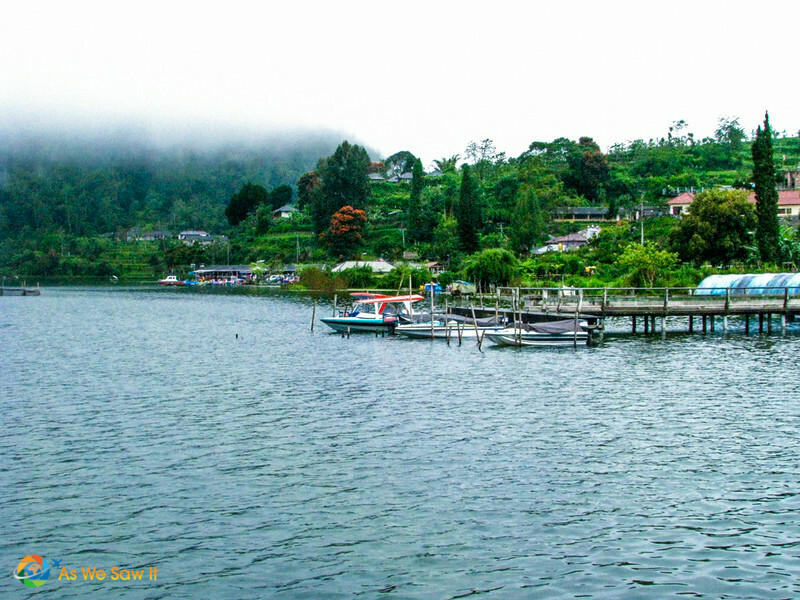 You can relax in a lakeside cabin if you just want an escape from Bali's tropical climate. The area is a great spot for birdwatching; more than 97 species of birds can be found here. If you are into water sports, you can swim, parasail, jet ski, canoe, fish and boat. Tip: Clouds and rain can make the area surprisingly chilly (down to 11°C / 50°F at night), so bring a sweater. Whether you're in Ubud, Kuta or Sanur, it takes about an hour to get to Bedugul. You can drive there, take a ‘bemo' minibus, or get there on a rented motorbike. However, if you have seen Balinese drivers (we did) you might want to consider hiring a car and driver for your trip. Most drivers (like ours) are quite willing to take you around for multiple days. When considering the cost of hiring a driver, note that drivers charge per vehicle, not per passenger. Expect to pay $40-$75 per day (for 8-10 hours/day), including driver and petrol. You can have your hotel arrange this for you or search for a driver online (use search terms like “Bali tour guide” or “Bedugul driver”). Once in Bedugul, there are a few ways to get around. Hiring a motorcycle from Rp.60,000 – Rp.100,000 per day. You can find this service at some tourism agencies around the village, or you can ask your hotel to make arrangements. Local bemos from Rp. 5000 – Rp.50,000 depending on the distance. They are available around Candi Kuning market. Hire a local driver for the day. You can ask at your hotel or find one with published reviews. We spent two nights at Handara Golf and Resort. If you want to spend more than one day in Bedugul, use this search box to find the perfect place to stay. It compares prices from many hotel comparison sites, for everything from hostels to resorts. Here are some resources to help you plan your own Bedugul visit. Find the official tourist information site here. Lodging: We stayed at Handara Golf & Resort Bali. Find other places to stay in Bedugul and read reviews at TripAdvisor or Booking. Currency: This website will help you calculate currency exchange values. 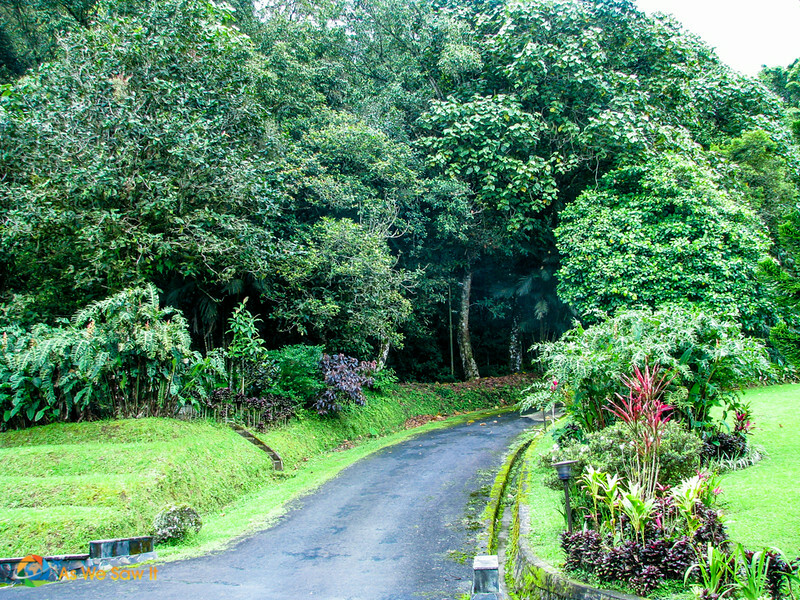 For more sightseeing, check out our Bedugul photo gallery. 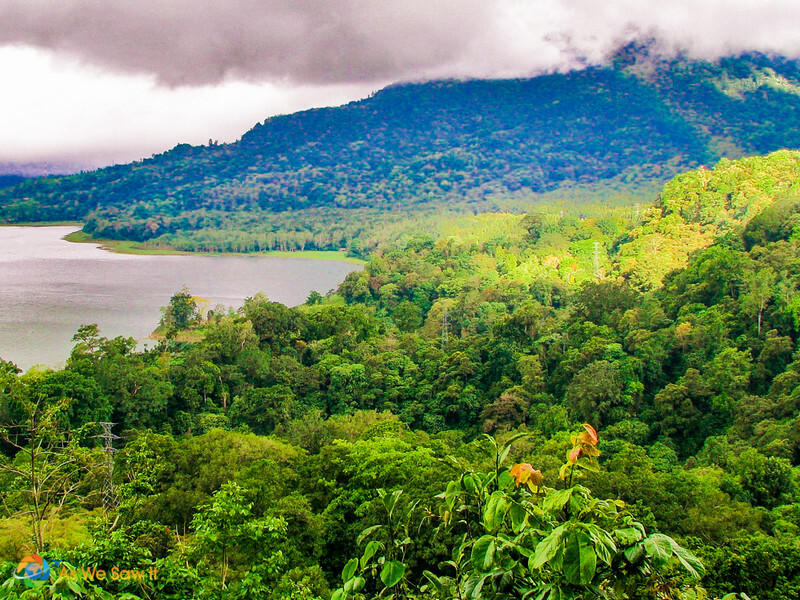 Get a bird’s eye view of Bedugul on Google Maps here. Zoom, scroll around and explore! Want a unique experience? We have had good experiences with Get Your Guide, a reputable source for booking a wide variety of tours, day trips, local attractions and activities. That's why we've chosen to affiliate ourselves with them. Search day trip ideas here. Pin it to Pinterest and share it with your friends on Facebook. It is, isn’t it? A worthy destination, to be sure. The lakes are beautiful. No wonder it’s such a popular destination.